I recently co-wrote a blog with Dan Harwood and Paul Twomey entitled “Don’t let care home residents slip through the dementia net” highlighting the importance of diagnosing people living in residential and nursing homes – three-quarters of whom have dementia. We also produced a primary care support guide entitled dementia management and diagnosis. In this article I want to focus on the GPs role in supporting an improved diagnosis and care plan for care home residents with dementia. Ensuring that residents have a diagnosis and care plan in place would benefit patients, care homes and the system. This is reinforced by the recent review carried out by Care Quality Commission (CQC). In most areas of the country, diagnosing dementia is something often carried out by specialist memory services or Community Mental Health Teams (CMHTs). However, residents of care homes with suspected dementia may find travel to specialist clinics difficult and do not always need the specialist interventions offered by these services, many of which are directed toward the earlier stages of dementia. I would, therefore, encourage GPs to work with their local care homes to help improve the recognition and assessment of care within your practice area. So how can GPs support the improved diagnosis and care planning of dementia in the residents of care homes? Some care homes will have dedicated sessions from a specific GP. It might be possible to encourage these GPs to double check that all residents the GP knows has dementia are on the Quality and Outcomes Framework (QOF) Register. An extra hour or two discussing all residents briefly with the care home manager may identify people who obviously have dementia but haven’t been formally diagnosed. Most of these will probably not need referral to specialist services to confirm the diagnosis but, of course, those with unusual symptoms do need secondary care assessment (see the dementia primer for more details). View the dementia management and diagnosis guide. Care homes and GPs covering the homes could work together to set up a process whereby all new residents being admitted to care homes have a review to establish whether they have a diagnosis of dementia, carry out an anticipatory planning review of medication, arrange baseline blood tests etcetera. If a diagnosis of dementia is made this is recorded in the care home records and GP QOF Register. Any clinician who has the appropriate skills can recognise and make a diagnosis of dementia, once it is established. Specialist advice is more likely to be needed in the early stages and in particular clinical situations such as when the presentation or course is atypical, where significant risks are identified, where the picture is complicated by behavioural or psychological symptoms and in groups such as people with learning disabilities. Specialist advice may also be needed to establish the exact cause of the dementia. This may have clinical implications for the prescription of medication such as drugs for Alzheimer’s disease, treatment of vascular risk factors in vascular dementia or avoidance of antipsychotics in Lewy body dementia. Post diagnostic support which should be person-centred goes hand in hand with the diagnosis (which does not necessarily have to result in the prescription of medication) and is largely independent of the cause of the dementia. A discussion document has been prepared by Maggie Keeble, Nick Cartmell and myself that provides our views and responses to frequently asked questions by GPs on the subject of dementia diagnosis in the care home. 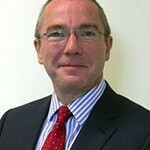 Alistair Burns is National Clinical Director for Dementia, NHS England.